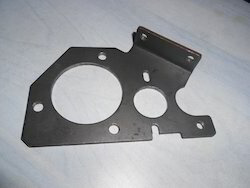 We have established ourselves as coveted organization, involved in offering Sheet Metal Forming Bracket. As an illustrious corporation of the industry, we are eagerly immersed in presenting a broad gamut of Sheet Metal Pressed Brackets to our patrons. Keeping in mind ever-evolving requirements of our respected clients, we are offering a premium quality range of Sheet Metal Bracket. We are offering a comprehensive assortment of Sheet Metal Brackets are used to support both fixed and flexible joints. These sheet metal brackets are also used in industry as conveyor brackets, conduit hangers, coupling guards and machine guards. They are also used as post protectors, and other types of industrial brackets. We are mainly looking for queries from foreign countries. Our esteemed clients can avail from us a qualitative array of Sheet Metal Brackets And Flanges, which is offered by us in various customized forms as per the needs of various customers. We make use of all the latest tools and machines for imparting desired shapes and sizes to the products. 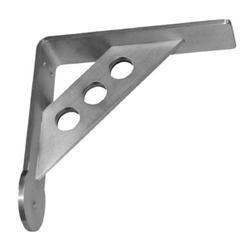 We Offer High Quality of Fixing Bracket For Antiroll Bar. - superior finish and rust proof products. We have emerged as one of the leading organizations involved in providing an extensive range of Sheet Metal Spring Bracket. Driven by a vision to achieve significant growth in this industry, we are providing a premium quality array of Sheet Metal Bracket. Owing to the rich industrial experience and expertise in this business, we are engaged in providing Sheet Metal Bracket.